Maritime UK brings together the UK’s shipping, ports, services, engineering and leisure marine industries to promote the sector, influence government and drive growth. The maritime sector is the fundamental enabler of British global trade. With cutting-edge technology, high-quality design & manufacturing, unparalleled expertise in services and major investment opportunities, the UK is the natural home for global maritime business. We support just under one million jobs and contribute around £40bn to UK GDP. Shipping Innovation Limited is an independent joint venture company that brings together two of the most creative, energetic and well-connected media companies in the maritime, transport and energy industries, Elaborate Communications Ltd and Petrospot Ltd. The Baltic Exchange is the world’s only independent source of maritime market information for the trading and settlement of physical and derivative contracts. Our international community of more than 600 members encompasses the majority of world shipping interests and commits to a code of business conduct overseen by the Baltic. As the leading trade association for the UK’s marine industry, British Marine represents over 1,500 members drawn from the leisure marine, superyacht, small commercial marine and passenger boat sectors, with most member companies being small and medium-sized businesses. From technical support and expert advice to training, lobbying and high-profile events, British Marine delivers its members a host of services and business opportunities. 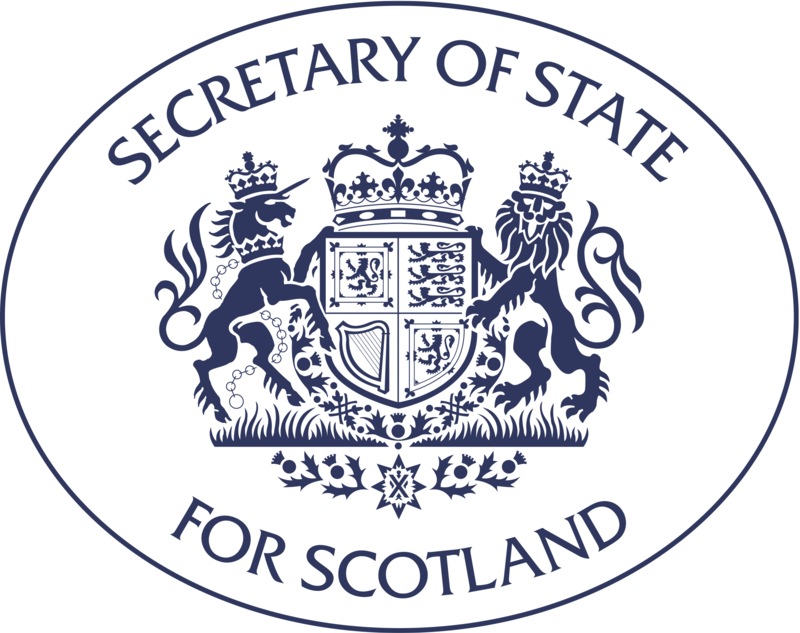 Created in 1992, the British Ports Association represents the interests of its 100 full members, and numerous associate members, to the UK and devolved Governments, the EU and national and international bodies. Maritime London promotes the UK as the world’s premier maritime business centre. The Society of Maritime Industries (SMI) is the voice of the UK’s maritime engineering and business sector promoting and supporting companies which design, build, refit and modernise ships, and supply equipment and services for all types of commercial and naval ships, ports and terminals infrastructure, offshore oil and gas, maritime security and safety, marine science and technology, maritime autonomous systems and marine renewable energy. 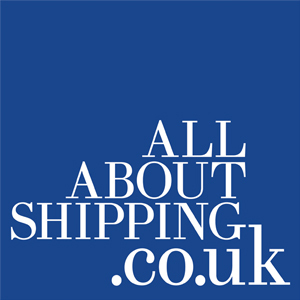 The UK Chamber of Shipping is the trade association and voice for the UK shipping industry, with around 140 members from across the maritime sector. The United Kingdom Major Ports Group (UKMPG) is the trade association representing most of the larger commercial ports in the United Kingdom. The UK Ship Register is part of the Maritime & Coastguard Agency, an executive agency of the UK Department for Transport. We have a reputation as being a modern, world-renowned, quality flag with many advantages which include no annual tonnage tax fees. Our customers benefit from a personalised round-the-clock service, with services and fee packages to suit individual customer requirements. 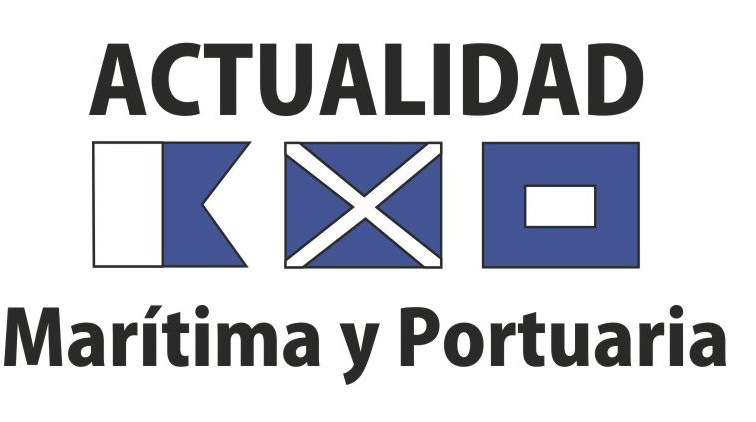 CIRM is the principal international association for marine electronics. Members include electronic equipment manufacturers, suppliers, system operators and service providers covering the whole field of maritime navigation, communications and information systems. CLIA UK & Ireland is a member of Cruise Lines International Association (CLIA), the world’s largest cruise industry trade association with representation in North and South America, Europe, Asia and Australasia. CLIA is engaged in travel agent training, research and marketing communications to promote the value and desirability of cruise holidays with thousands of travel agency and travel agent members. The Connecticut Maritime Association is a non-profit organisation built by its members for its members. 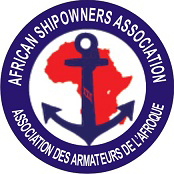 It is an Association made of individuals representing every aspect of shipping and international trade. Over 1,400 members worldwide, an annual conference and trade show attracting 2,500 attendees, myriad social events and the CMA Education Foundation all make for a vibrant, ever-growing association. CSO Alliance provides a global, members-only risk management platform for CSOs from all shipping sectors to drive best practice and combat crime. The European Community Shipowners’ Associations (ECSA), founded in 1965 is the trade association representing the national shipowners’ associations of the EU and Norway (close to 99% of the EEA fleet or about 20% of the world fleet). Our aim is to promote the interests of European shipping so that the industry can best serve European and international trade and commerce in a competitive free enterprise environment to the benefit of shippers and consumers and help formulate EU policy on critical maritime transport-related issues. The Institute of Chartered Shipbrokers London & South East Branch is the largest and oldest branch within the institute and are focused on both the continuing professional education of our members and on providing them with networking opportunities. INTERCARGO provides the forum where quality dry bulk shipowners, managers and operators are informed about, discuss and share concerns on key topics and regulatory challenges, especially in relation to safety, the environment and operational excellence. INTERCARGO represents dry cargo shipping interests at IMO, other industry fora and the broader business context. Today InterManager represents ship and crew managers, as well as associated organisations, from around the world. Representing over 4,000 vessels and over 250,000 seafarers, InterManager has a respected global representation. In its bid to ensure sustainability and quality, full members must establish, implement and maintain a quality management system in accordance with the requirements of ISO 9001:2000 for all activities undertaken by the organisation. INTERTANKO has been the voice of independent tanker owners since 1970. A professional and respected Association, it champions an industry dedicated to support global energy networks by delivering safe, efficient and environmentally sound transport services that keep the world economy turning. Dedicated to safe ships and clean seas, IACS makes a unique contribution to maritime safety and regulation through technical support, compliance verification and research and development. More than 90% of the world’s cargo carrying tonnage is covered by the classification design, construction and through-life compliance Rules and standards set by the twelve Member Societies of IACS. The International Association of Ports and Harbors is the global ports’ forum for industry collaboration and excellence. IAPH represents 170 port authorities worldwide and about 90 port-related companies and organisation. 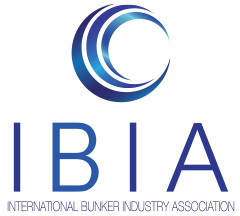 The International Bunker Industry Association (IBIA) is the voice of the global bunker industry and represents all stakeholders across the industry value chain. Our membership includes ship owners/operators, bunker suppliers, traders, brokers, barging companies, storage companies, surveyors, port authorities, credit reporting companies, lawyers, P&I clubs, equipment manufacturers, shipping journalists and marine consultants. Today we have members in more than 80 countries. IFSMA, founded in 1975, currently represents 10,500 Shipmasters through associations and individual Shipmasters. Some of its most important work is at the various IMO Committee and Sub-committee meetings where it is recognised as an NGO. It also represents shipmasters at the ILO. Its motto is Unity for Safety at Sea. IMPA is the global organisation representing those working in the maritime supply chain management function. The organisation provides education, resources and events for the industry and its membership. IMPA promotes professionally sound and safe pilotage by bringing together pilots’ associations from around the world in order to formulate views and policies that are both convincing and practical to implement. IMPA also has a formal voice in relevant international maritime fora, particularly at the International Maritime Organization (IMO) where it has had consultative membership since 1973. The International Maritime Rescue Federation (IMRF) is the international charity focused on preventing loss of life in waters around the world. Working with members in more than 50 countries, including both government and non-governmental search and rescue organisations, IMRF works to improve maritime search and rescue capability around the globe. The International Port Community Systems Association is the only global association representing the electronic exchange of data in Ports and has members ranging from Port Community Systems Operators in both air and sea, to Single Window Operators and Sea and Air Port Authorities. Our members exchange in excess of 40m electronic messages per day and over 500m TEUs go through their systems in the over 200 ports worldwide that they operate in. The International Salvage Union (ISU) is the sole representative organisation for the international marine salvage industry with a membership of 58 marine salvage companies from 34 different countries plus over 80 associate and affiliate members. Membership of the ISU is restricted to those companies with a record of successful salvage and pollution prevention. International Seafarers Welfare & Assistance Network (ISWAN) is an international NGO and UK registered charity and our focus is the welfare of the 1.5 million seafarers around the world. We are a membership organisation and we work with a range of bodies including PandI Clubs, shipping companies, ports, unions, welfare organisations, and governments. ISSA is the international association representing nearly 2,000 ship suppliers throughout the world. We have 40 national associations of ship suppliers as full ISSA members and associate members in 51 other countries where no national association exists. LSLC Business Forum plays a prominent role in the furtherance of quality maritime education and business in London by tackling issues of enduring interest to the shipping industry and broadly to commercial practitioners. Events offer invaluable networking opportunities for business development and career advancement. The LSLC counts amongst its speakers and members the key representatives from most sectors of the maritime industry. Established in 1756, the Marine Society has a long pedigree of supporting the welfare and professional development of seafarers. We’re here to help every seafarer realise their full potential through learning new skills, gaining accredited qualifications and supplying libraries and books. Sea Cadets engages 14,500 young people aged 10-18 across the UK. Supported by 9,000 amazing volunteers the charity helps young people achieve in education, employment and in longer-term mental and physical wellbeing, reducing risky behaviours and increasing community engagement. Adventures delivered on the water launch young people for life today. The Maritime Skills Alliance designs and promotes qualifications and apprenticeships for the UK’s maritime sector. We have developed a suite of interlocking standards and qualifications – MSQs, “Maritime Studies Qualifications” – which enable employees to progress both within their specialism and between sectors. Marine South East (MSE) is a marine sector, non-profit cluster organisation located in the leading maritime Solent region of the UK. Established in 2005, MSE aims to stimulate investment by public and private sectors in key areas of ‘Blue Growth’ such as maritime logistics, marine energy, security, aquaculture and management of environment and ocean resources. Mersey Maritime is the representative body for the maritime sector in the Liverpool City Region. We work with businesses of all sizes and in all locations to develop strong, market-responsive supply chains and promote Liverpool’s maritime industry as a world class centre of excellence. We are the General Lighthouse Authority for Scotland and the Isle of Man and have provided a vital safety service to mariners since 1786. We currently operate and maintain 206 lighthouses and 170 buoys as well as providing radio aids to navigation. Our ship NLV PHAROS will be berthed alongside HMS Belfast during LISW19. 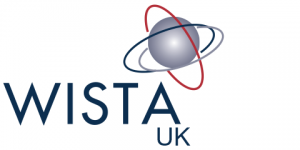 The Shipping Professional Network in London (SPNL) is London’s own meeting place for young shipping professionals. The SPNL enjoys significant industry support, with industry backing from the UK Chamber of Shipping. Through regularly organised events, it aims to bring together young professionals from all aspects of the industry to network, socialise and learn more about the industry we proudly form part of. The Society of International Gas Tanker and Terminal Operators (SIGTTO) is the international body established for the exchange of technical information and experience, between members of the industry, to enhance the safety and operational reliability of gas tankers and terminals. To this end, the Society publishes studies and produces information papers and works of reference, for the guidance of industry members. SGMF is a non-government organisation founded in 2013, has been responsible for educating and training marine and energy professionals in making the safe and competent transition from heavy fuel oil-powered vessels to cleaner-burning gas fuel. With the IMO global sulphur cap of 0.5% coming into practice on 1 January 2020, the shipping industry is rapidly investigating viable alternatives and natural gas (from LNG) as a fuel is considered by many to offer the most complete solution to the stringent new emissions caps looming. SYBAss unites and represent the world’s leading superyacht builders. All SYBAss members have been in existence for at least ten years and built at least three yachts over forty metres in length over the past decade. This selective group is responsible for more than 50 percent of the annual global production of yachts over 40 metres in length. SYBAss activities focus on three main areas: promotion, regulation and professionalism. TheCityUK represents the UK-based financial and related professional services industry. We lobby on its behalf, producing evidence of its importance to the wider national economy. At home in the UK, in the EU and internationally, we seek to influence policy to drive competitiveness, creating jobs and lasting economic growth. Team Humber Marine Alliance is a dynamic membership organisation – critical to the success of the marine, maritime and offshore sectors in the Humber and beyond. Millions of pounds of new business has been generated amongst its 200 plus member companies through innovative business development activities. It is a highly influential, not-for-profit business, focused on revitalising the “Blue Economy” sector around The Humber Ports which are the busiest in the UK by tonnage and the fourth busiest in Europe, handling 85 million tonnes of cargo annually – 17.5% of Britain’s maritime trade and more than any other ports complex in the UK. The United Kingdom Maritime Pilots’ Association is the representative professional body for Maritime Pilots in the UK. Marine Pilots are highly skilled experts authorised to navigate ships in their respective districts. Tasked with the conduct of all types of vessels including the world’s largest during what is often most hazardous parts of their voyages . The fundamental purpose of maritime pilotage is to ensure safety, security, environmental protection and port efficiency. The Shipwrights’ Company originates from the fourteenth century and was originally formed to safeguard the quality of shipbuilding in London. Today the Shipwrights’ Company maintains close links with the sea and donates to maritime related causes, including apprentices. It supports George Green’s and London Nautical Schools, Sea Cadets and is affiliated to HMS QUEEN ELIZABETH. 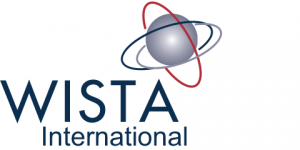 Formed in 1974, the Women’s International Shipping & Trading Association (WISTA International) is a global organisation connecting female executives and decision makers around the world. Forty-five (45) countries support a National WISTA Association, with over 3000 individual members from all sectors of the maritime industry. The Women’s International Shipping & Trading Association (WISTA) is an international organisation for women in management positions involved in the maritime transportation business and related trades worldwide. It is a major player in attracting more women to the industry and in supporting women in management positions. WISTA is growing and currently counts over 1.600 individual members in 34 National WISTA Associations. Global Legal Group is an independent media company specialising in the legal market. Through print and digital channels we provide legal, regulatory and policy information to senior executives, general counsel, law firms and government agencies. GLG is the publisher of the International Comparative Legal Guide to: Shipping Law. gCaptain.com is a leading maritime and offshore news website, forum, and job board. Our popular email newsletter reaches over 50,000 subscribers daily. Established in 2006, Hellenic Shipping News Worldwide (www.hellenicshippingnews.com) provides news on shipping and maritime trade, as well as shipbuilding, ports, marine insurance, shipping law, freights and commodities, energy-oil and of course stock markets and the global economy. Safety at Sea, published by IHS Markit is the world’s only dedicated monthly maritime safety magazine and recognises those who improve seafarer competence through its annual Safety at Sea Awards. SAFETY4SEA is on a mission for Safe Ships & Clean Seas, committed to promote safer, smarter & greener shipping using safety4sea.com, monthly paper magazines & special publications (circulated in more than 12,000 copies monthly across the globe and onboard ships), along with video & social media to communicate news, insight, intelligence and opinions. Furthermore it hosts SAFETY4SEA, GREEN4SEA, SMART4SEA & CAREER4SEA Conference & Awards to foster excellence and share best practices across shipping. For nearly 50 years, Seatrade has provided a range of global events, online news and publications that cover every aspect of the maritime industries. Our flagship industry publication, Seatrade Maritime Review, delivers a quarterly review of the maritime industry to a global audience. Seatrade Maritime News is the free, online, daily insight into world shipping and offshore marine news. Robban Assafina is a bimonthly Maritime Magazine, Website & Smart Phones’ application, specialized in Shipping, Ships, Offshore and Marine Technology, reaching key players of the MENA Maritime and Offshore Market. Xinde Marine News is a leading marine news provider in China. As an independent online media with the mission to provide independent, credible, critical and topical information, analysis, opinions, research and advisories to the maritime and shipping industry with a clear focus on “Markets, Vessels, Ports, Shipbuilding, Authorities, Enterprises and Seafarers”.